Who else has left and right pistols? Even though when firing I can't tell the difference between each of my pistols, I still have left side and right side guns. Always left gun in left holster, right gun in right holster. Also, I shoot one handed and draw the left first. Anyone else do this or am I just weird? If you're weird then I'm weird too. Don't let anyone kid you, Bruce. Yeah, you're just weird. LOL. I can't tell the difference between mine, so I would be constantly checking the serial numbers if I wanted to identify one as exclusively right and the other exclusively left. Guilty, and I do check serial numbers to tell which goes where. I dont always draw the same one first as stage us the dictator of that for me. My pistols are set different weightwise and also for POA. I had a "perceived" malfunction with one of my Rugers. It went away and when I asked my smith to check it out, I could not tell him which revolver it was - even though I knew it was my left. 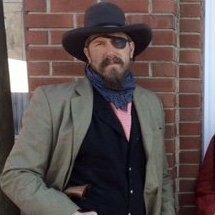 I can pick up my Uberti revolvers, blindfolded, and can tell you which one is right and which one is left. There is a slight variation in the grips that I can tell, even though these were a 'matched pair' with the R-L serial numbers. I started shooting them with the R number in the right and the L number in the left and it just stuck. My Rugers are consecutive serial numbers. I cannot tell the difference in feel between the guns. However, 5 goes in the left, 6 goes in the right. 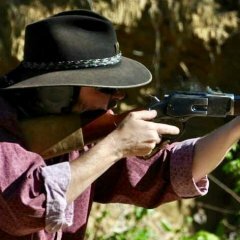 On reason I keep doing it is, if I have an issue with a gun on the firing line I only have to remember which hand had the problem. If I always shoot the same gun with the same hand, I don't have a problem remembering. I shoot FCGF and try to keep my hands pretty close together the entire shooting string - if I can. The inside edges of my pistols are always filthy from the side blast coming out of the other pistol. Keeping them Left and right means I do not have to clean the outside edges of my pistols because they don't get dirty. And, I always keep the same unloaded chamber throughout the match. 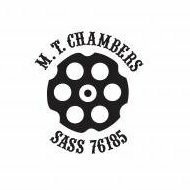 Again - so I don't have to clean that 6th chamber! Of course, I also line up my shotshells in my belt the same direction so I can read the writing on them. That is part of my mental prep when getting ready for the stage and not indicative of any other problem. I draw the left pistol first, with the left hand. Then I draw the right, with the right hand. Shoot both of them one handed. My father's 3rd Gen 4-3/4" SAA always goes in the left holster, no matter what goes in the right. 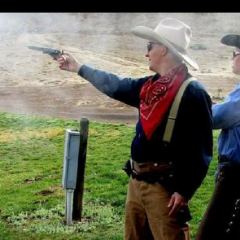 If I am not shooting Dad's Colt, then depending on what pair of pistols I am using, then it greatly depends. If I am using the Buntline, it always goes left. If both Sheriff's models, the nickel goes left, the blue right. 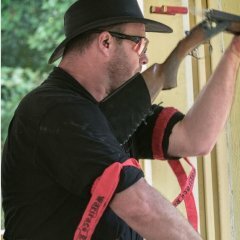 But if I am shooting the sheriff with the buntline, it goes right, regardless of finish. Beyond that, it comes down to which of the two pistols do I like more. The one in the pair that is preferred gets the left. 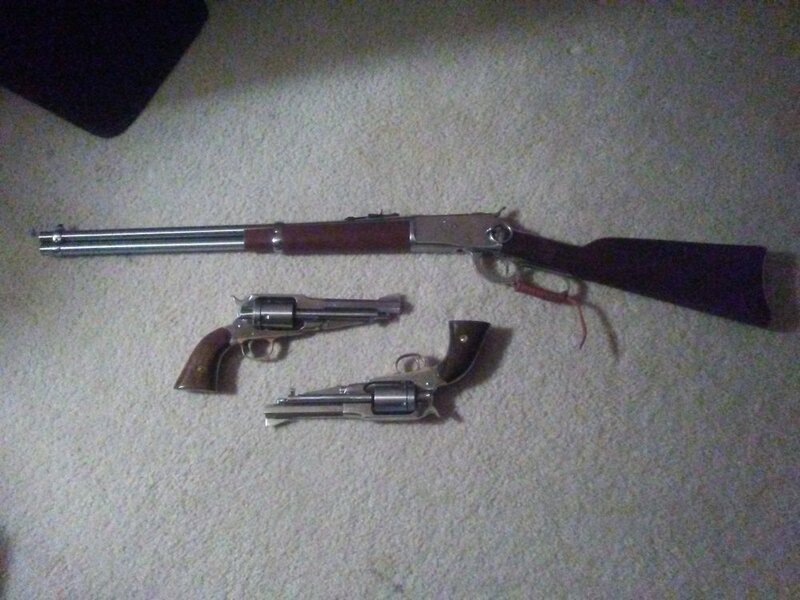 For example, at the upcoming Tri-State shoot, I plan on Dad's Colt for the left and my "Reconstruction of old Fort Des Moines" commemorative, a gun with a gold finish, will go on the right. But if I was shooting the gold Colt with anything else, it would go in the left. I hope this is remarkably confusing to all. Hi my Name is Bubba, and I am Weird also! 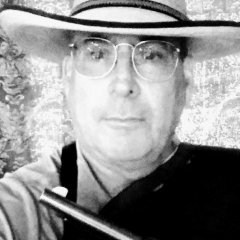 Well, as my left-side pistol is a 5-1/2" OM Ruger Vaquero, and the right one is a7-1/2", I don't tend to get them mixed up. 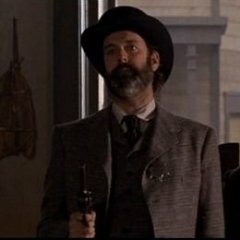 I shoot Duelist and tend to shoot both guns with my right hand, though I will occasionally will shoot the left-hand gun with my left hand. Yep, I’m definitely weird. I have left and right guns. Looks like I’m in good company! "Hi, Bubba. . . "
Yep, I do that same thing, fellas. Well, sort of. Like H.K, I have a special pistol: an old ASM 1860 Army my grandfather gave me when I was twelve. It's my main match revolver and always goes in the right hand. The left usually draws another 1860 and occasionally an 1851 Navy. But that 'ol ASM, boy - it's the final act of pistol targets! Probably my most accurate cap 'n ball as well. You are not alone ,I do the same . But, you may be still weird. I'm going to have to memorize the serial numbers on my Colts so i can tell them apart. I know lots of folks who do it that way. I am not one of them. They go in holsters by which I pick up first with no thought as to one vs the other. And which I draw first depends on the stage and transitions. Put a yellow paint dot on the left gun on the bottom of the strap. Helps if you have a problem to track it down to a specific gun. Six sets of consecutive serial numbers. The odd serial number, which is the lower, always goes in my right hand. Bruce its OK to be weird . I have engraved their names on the back straps. Ok I REALLY like that. 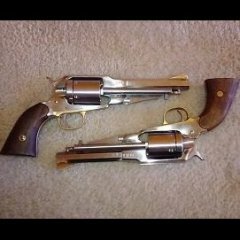 No engraving on mine, but for a while I referred to my main pair of revolvers as “Fire and Brimstone”. Yes, it is weird...don't let the fact that others do it convince you otherwise. PS: For those that are looking for some odd and nefarious motive behind my post, there isn't any...humor is like an opinion. It's not weird if it works. Of course, there is one sure fire way to always be able to tell your left gun from your right. Never shoot a "matched pair." Let there always be some sort of difference between the 2 guns. I warned you some will try to kid ya!!! Nope. I'm a lefty. 89 in the left, 90 in the right. Left one has darker wood handle than right. Right one misses more than left one even though I shoot both with left hand. I had a really hard time telling my main match guns apart. They weighed the same, had the same dimensions. Yet I always shoot the same one in my left hand and the other in my right. It came down to the grips. 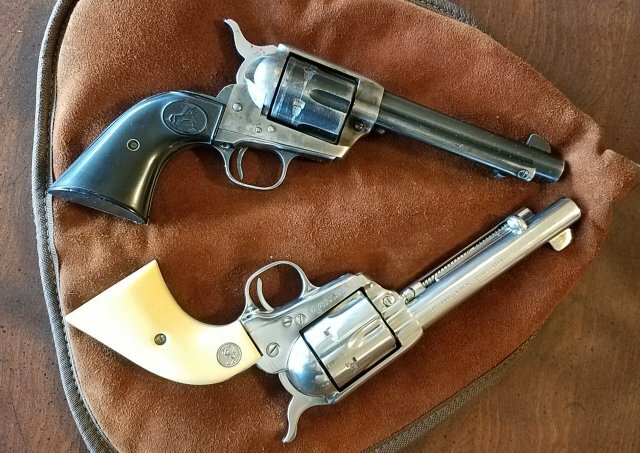 Turns out the nickel colt has ivory grips and the cch colt has walnut grips. Finally a way to tell them apart. Now I’m going outside to measure my horses so I can tell them apart. I’ll start with the white one since it’s six inches taller than the black one.